Samantha Clunies-Ross is a classical pianist based in London. She is a graduate from the Guildhall School of Music and Drama where she studied under the tuition of Philip Jenkins. Prior to studying at the Guildhall, Samantha attended two of the country's most prestigious music schools - The Purcell School and Chethams School of Music. Samantha has performed extensively in concert venues across the U.K and abroad, some including St James Piccadilly, the Southbank Centre, Fazioli Hall in Italy and Milton Court Concert Hall. 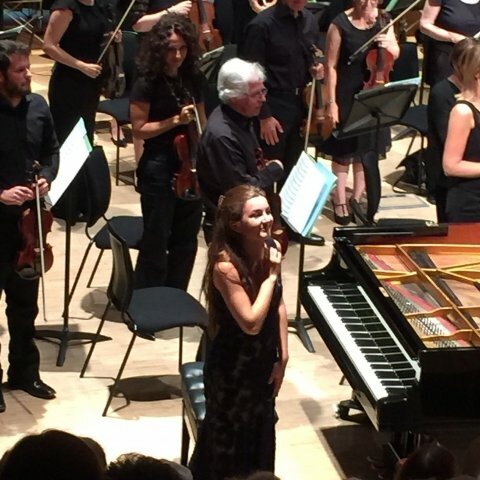 At the age of 17, Samantha had her concerto debut in London with the Vanbrugh ensemble playing Mozart Piano Concerto No.20 and later performed Shostakovich Piano Concerto No.2 with the Watford Symphony Orchestra. I have a wide range of teaching experience helping students of all levels and abilities. I have taken students through the ABRSM grade exams and prepared students for school entrance exams/music courses. I have had over 10 years of first hand experience in all of these areas of music education and I am able to communicate this knowledge and expertise to my students. I have a fun, patient and friendly approach to my lessons and having taught students from the age of 5-74, I tailor each class for the individual making sure they are able to reach their full potential.